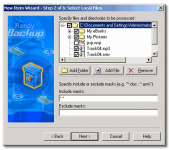 When creating your CD or DVD, or simply doing general cleaning of garbage on your hard disk, it is often necessary to delete files copies, leaving on the disk only originals. Shuric Scan was designed to solve this problem. It scans the disk searching for files with identical contents. Shuric Scan finds ALL copies of the file regardless of their names. 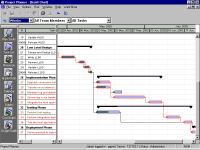 Unlike other similar programs, search results are shown as a tree, where the roots are the groups of files with identical contents, and branches - files. 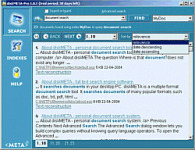 This form of displaying the search results is closest to the style of human thinking, and grants fast and intuitive processing. 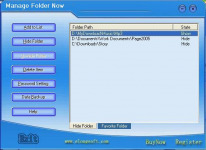 Shuric Scan uses an advanced file copy searching algorithm. The main difficulties in searching for copies of a file are: 1) huge number of comparisons; 2) high load on the hard disk. Shuric Scan overcomes these difficulties. The algorithm which this scanner is based on, compares files only if they are at least similar. The software not only does not compare `unsimilar` files, but doesn`t even open them. The statistics show that the average file is being compared not hundreds and thousands of times, as when using the `brute force` method, but on average 1.5-2 times. Thus, the scanning algorithm reduces to an absolute minimum file comparison operations, which significantly reduces the load on your hard disk and considerably accelerates the process of scanning. The more files of identical size that are on your hard disk, the more our software outruns other similar programs. 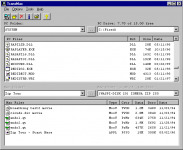 For example, when scanning through 8000 files with the file size of 128K, the advantage of Shuric scan above other similar programs becomes absolute.